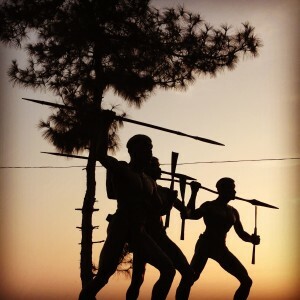 Visiting Nagaland had always been on my India bucket list. I’d heard too many stories of head-hunters, mystery and remote villages, something I had to see for myself. 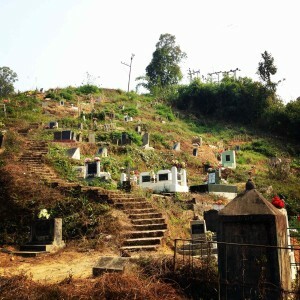 What I found when I finally visited Nagaland however was very different. It didn’t meet the expectations I had, but surpassed so many others that I didn’t know existed. Entering Nagaland from Assam by road, it felt like I was crossing into another country. There is a formal border, marked with a police barricade and a checkpoint. We exited the car and had to fill in our paperwork. As you can see, it’s very serious business. Most of the policemen were very busy playing cards. The minute our car drove into Nagaland the landscape changed. Dusty stark landscapes gave way to rolling green hills. Hindu Temples disappeared from the roadside, replaced with quaint Christian cemeteries and rather disturbingly omnipresent Baptist Churches. I had no idea that the Baptist missionaries had transformed the majority of the population into god fearing citizens. Instead of tribal idols, Jesus Christ was the object of the Nagas worship. We came close to running out of petrol in the middle of nowhere, but thankfully our driver spotted a small shack on the side of the road. 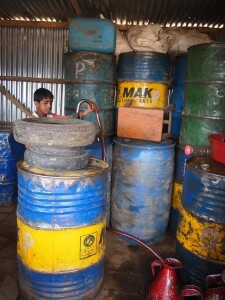 Filled with non-descript barrels and managed by a boy who couldn’t possibly have been more than 11 years of age, this was the petrol station. 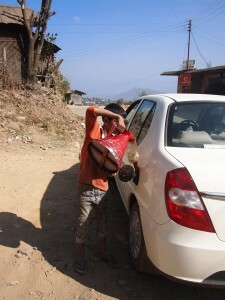 The boy carefully extracted the fuel from a dirty barrel and then used a funnel and jug to pour it into the car. It wasn’t high tech but it did the job and we were soon back on our way. We arrived in the town of Mokokchung just before the sun-set over the valley. A pretty town, with houses perched along the hillside, it was here that we would explore some of the villages of Nagaland for the next few days. But first, we visited the local market that was in full swing for Indian Republic Day. While stall holders sold local pickles, king chillies and fresh vegetables, out the back groups of men gambled away their daily wages with jovial fervour. We trialled some of the local delicacies, including a scrumptuous chicken in bamboo shoots. I had been in touch with Piran from a local tour company, Kipepeo, who thankfully have us advice on some of the different villages to see near Mokokchung. The first stop was Aliba, a small town famous for it’s huge drum carved from a single tree trunk. I particularly loved the village for its view over the town and the locals who just went about their daily life around us. My favourite village of the day was definitely Longkhum. The village itself was picturesque and appeared less tainted by the trappings of the 21st century. There’s a walk from the village that took us to the edge of the jungle, along the way the legend of two lovers, Chenno and Etiben, is played out on the path. We also stopped at Mopungchuket which has a traditional village hut set-up and a rather sad looking hornbill in a tiny cage. Nearby is Impur which was the site of the first Baptist Mission. Both towns are big on the tourist trail, but I could take or leave them. Our final stop was Ungma, which is the largest village of the Ao tribe. It has a perfect sunset view, which is the perfect backdrop for these statues of the original Naga ancestors . What surprised me about these Naga villages was how modern they were. Tribal culture and head hunters were notably absent. Piran advised that you now have to go much further afield to see true tribal villages, something we unfortunately didn’t have time for this trip. Although our next Naga adventure in Dzuleke gave us an authentic experience nonetheless. Sorry – forgot to send the link! Saw these interesting and beautiful photographs today in the Washington Post and thought that you might like to see them.. Not Nagaland, but in the North East part of India. So interesting that you were able to go there. 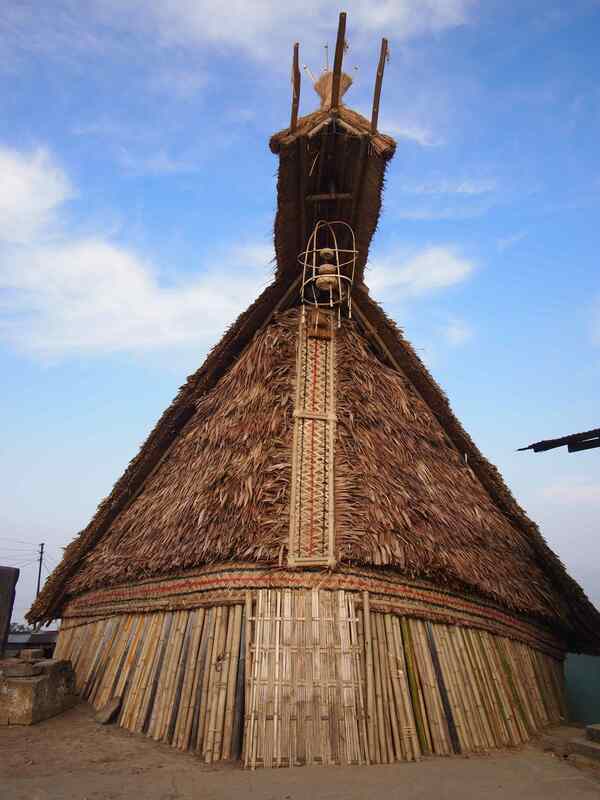 I am fascinated by the various tribes in India and saw this article and photos of the Konyak in Nagaland. They were head hunting until 1960! You might like to read it. As always, am enjoying your blog very much. I’ll take a look at the article. 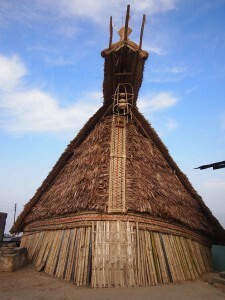 I just loved Nagaland and would highly recommend to anyone.